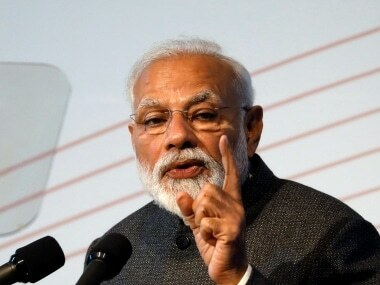 ‘Modinomics’, the epithet used to describe the economic policies of the Narendra Modi-led government, in the last five years, has been compared with ‘Manmohanomics’, repeatedly and recurringly. While comparisons are often odious, in this case, it throws up interesting observations that have their own story to tell. Bulumgavan village in the dense forests of Melghat in Maharashtra, and Leisang in Manipur, finally received electricity for the first time in 70 long years; Tripura came onto India’s broad gauge map for the first time, only in 2016, despite becoming a state in 1972; Manipur witnessed the commencement of construction of the 141-metre high Noney rail bridge, the highest rail bridge in India; and of course, India joining an elite few, like Russia, China, Germany and Sweden, after Modi launched India’s first 12,000 horsepower electric locomotive from Madhepura in Bihar, on 10 April 2018, built jointly with French giant Alstom, showcases the success of “Make in India”. What an irony that the Madhepura electric locomotive project, which had been conceived way back in 2007, suffered from policy paralysis and political apathy, till the Modi government decided to operationalise it. The added success of “Make in India” is evident from the fact that while there were only 2 mobile handset manufacturing factories in India in 2014, today there are more than 200 such units, with global behemoth Apple Inc.,using India to assemble its iPhones. The PMUY vindicates the very ethos of “Modinomics”, which seeks to transform societies for the better,through an approach that focuses on effective execution within strict timelines, as opposed to “Manmohanomics”,where many schemes remained paper tigers, only. All these efforts will help fulfill India’s global commitment of reducing emission intensity by 33-35 percent and producing minimum 40 percent electricity from non-conventional sources by 2030, something which should have been done by erstwhile dispensations, yesterday. “Manmohanomics”, clearly, failed on this count. If laying the bedrock for improving India’s ‘gas coverage’ and reducing the country’s unwanted dependence on conventional fuels, by taking groundbreaking measures which will hold India in good stead going forward, has been one of the defining and high points of Modinomics, equally, it also lays bare that Manmohanomics, did not do enough to reduce India’s “Fuel Vulnerability”. “Modinomics” has focused on deliverables, more than anything else. Be it the Kollam bypass in Kerala, bringing the “Sitapur to Lucknow” railway track on the broad gauge network after 136 long years, or paving the way for a direct train service from Delhi to Leh, or for that matter, bringing Ladakh under the ambit of the national grid, Modinomics has set the bar high in terms of deliverables. Growth with high inflation is meaningless as it hurts the poorest and the middle class, the hardest, and indeed, it is here that Modinomics scores handsomely,over a jaded and tired Manmohanomics. The Modi-led government has won the war on inflation, resoundingly. Cumulative Consumer Price Index (CPI) inflation has declined to 3.41 percent in April-March FY2019 compared with 3.59 percent, in April-March FY2018. The CPI inflation has consistently declined from 5.9 percent in FY2015 to 4.9 percent in FY2016, 4.5 percent in FY2017, 3.6 percent in FY2018 and further down to 3.4 percent in FY2019. The CPI component of food and beverage inflation increased to 0.66 percent in March 2019 from (-) 0.07 percent in February 2019, but the core CPI in March 2019 eased to 5.02 percent, showcasing that the Modi government’s ability to rein in inflation has been successful,with no “Ifs” or “Buts”, whatsoever. This is a huge improvement from the Manmohan Singh regime of 2013, when the retail inflation and food inflation stood at 11.24 percent and 14.72 percent,respectively. That India’s 2nd lunar exploration mission, Chandrayaan-2, would be commissioned in 2019, is not the big story. The big story is certainly the fact that India’s second mission to the Moon, to be launched by GSLV Mark III, is an indigenous mission, including a Lunar Orbiter, Lander and Rover, all developed in India, under the aegis of the Modi government, giving a whole new meaning to the concept of “Make in India”. As if that was not good enough, work is progressing at a rapid pace on Gaganyaan, India’s first manned mission into the space, to be commissioned in 2021-2022, which would make India only the 3rd country in the world after the US, Russia and China, to do so. More importantly, of the three people who will venture into space as part of the Gaganyaan, one will be a woman.